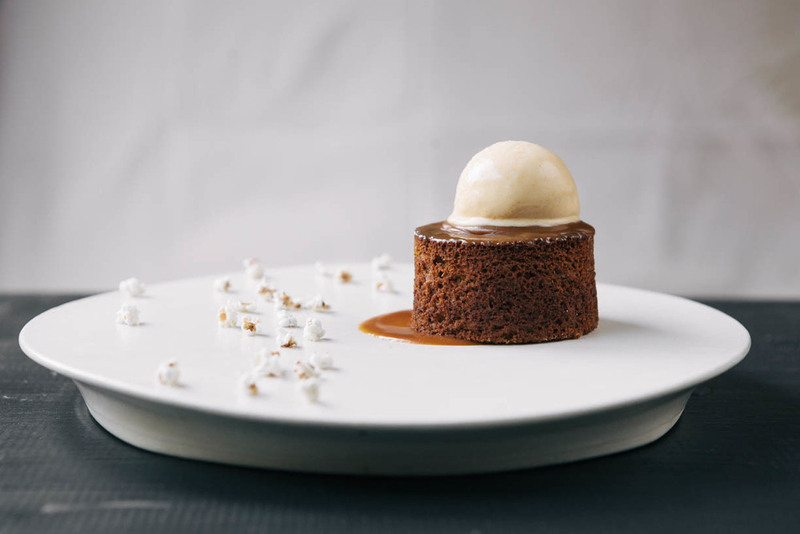 Sticky Sorghum Cake — always with butter. Another recipe tester. 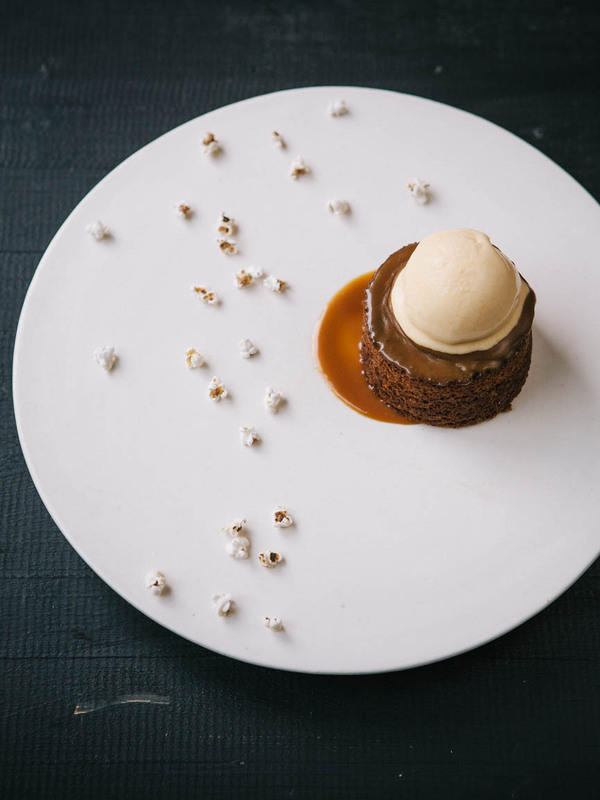 It took us quite a while to find sorghum in a store but when we did we were finally able to make sticky sorghum cake. He had it while out to dinner in South Carolina. I had never had sorghum before. I had seen it before, we used to have it at one of my old jobs, but never gave it a second look. So when we made the cake I had no clue if I would like it at all. The sorghum toffee that you pour over was the best part in my opinion. I ate nearly all of it with a spoon before plating so there was more to be made. The cake was solid too. Kind of a subtle molasses flavor, not as 'sticky' as I thought a sticky cake recipe would be. Good nonetheless. Combine the dates and water and bring to a simmer. Turn off the heat and let stand for 5 minutes. Stir in the baking powder and puree with and immersion blender or food processor. Reserve. Sift together the flour, salt, and baking powder. Cream the butter and muscarvado then add sorghum. While beating, add the eggs one by one making sure each is incorporated before adding the next. Next add the flour mixture then gently fold in the date mixture on a low speed until fully incorporated. Place the ramekins on a baking sheet and fill them three quarter to the top. Place the sheet pan in the oven and bake for approximately 30-45 minutes. The cakes are done when they spring back to the touch and a toothpick comes out clean when inserted in the center. Pour toffee over before serving. Combine all the ingredients and simmer until reduced by half. Strain and reserve. Then whisk into hot mix. Pour into a large ziplock bag and add popcorn. Seal and press down popcorn so all is submerged. Place in fridge and let cool completely. Once cool, pass through a cheniose to remove all popcorn. Spin in ice cream maker. Then freeze until set.